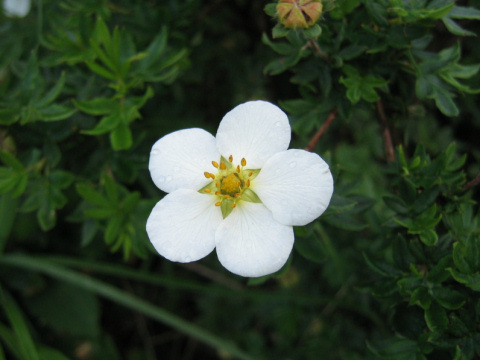 Shrubby cinquefoil (Potentilla fruticosa var. leucantha) belongs to the family Rosaceae (the Rose family). It is a deciduous shrub that is native from Chubu district of Honshu to Hokkaido and the subarctic region. 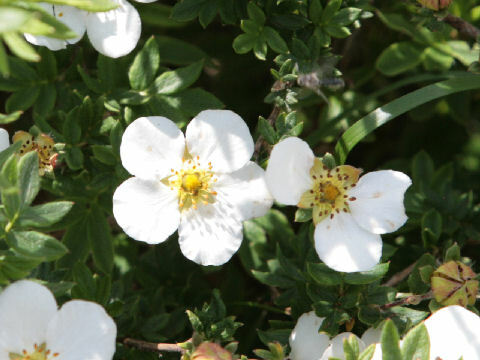 This shrub grows in alpine screes, and it can reach 30-50 cm in height. The leaves are odd-pinnate compound. 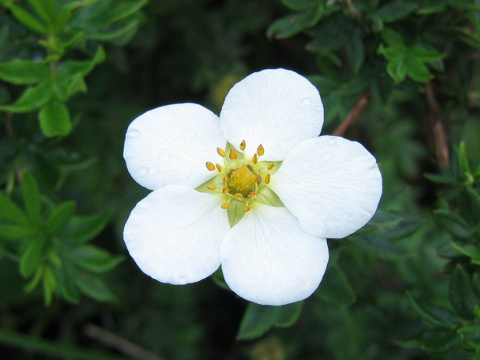 The white five petaled flowers bloom from June to August. It is also planted as a rock-garden plant, because of it can be able to plant in flatlands.